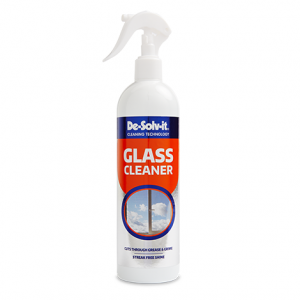 De-Solv-it® Stainless Steel Cleaner is a powerful 3-in-1 solution that cleans, polishes and protects stainless steel surfaces including ‘brushed finishes’. 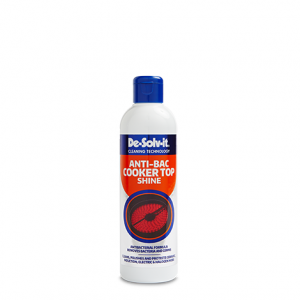 This NSF approved formulation means that it is safe to use on all stainless steel surfaces in the kitchen. 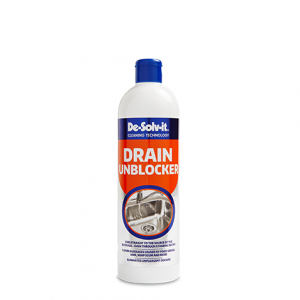 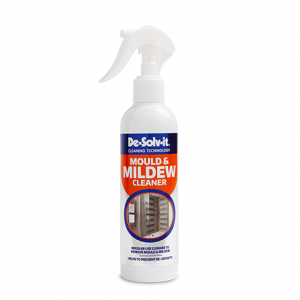 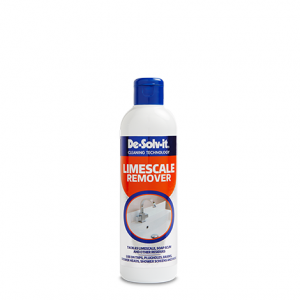 Perfect for use on surfaces such as splashbacks and appliances. 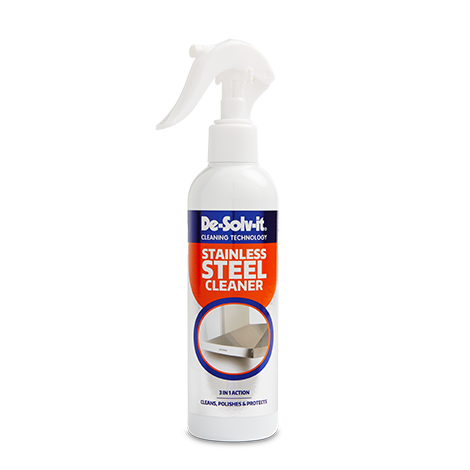 Step 1: Use De-Solv-it® Stainless Steel Cleaner to clean all your stainless steel surfaces. 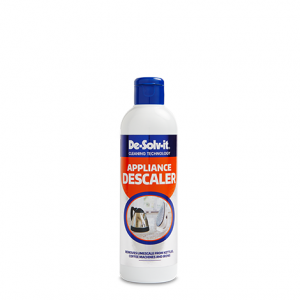 Step 2: Use De-Solv-it® Stainless Steel Reviver to revive and leave your stainless steel surfaces shining like new. 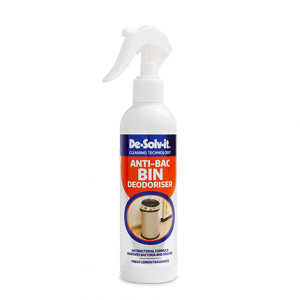 Wipe over with a soft, dry cloth to remove any dirt and grime. 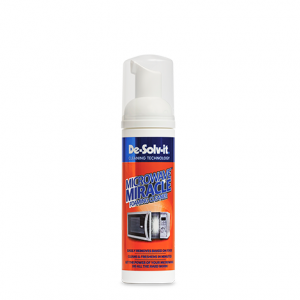 Continue to polish with a soft cloth until the desired effect is achieved.